Did some training for the Trans-Afrika race this last weekend. Left home just before 5am. 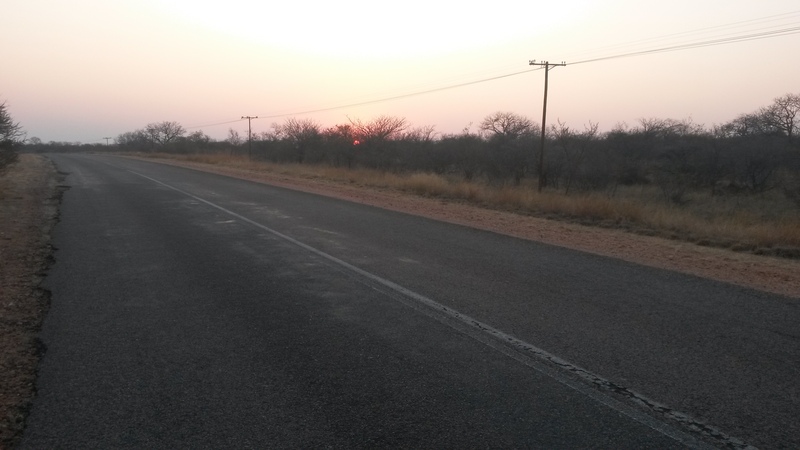 Saw sunrise near the T junction of Settlers and Marble Hall road (R33). Just before lunch took this picture unfortunately they ran away. As they were right next to the road looking at me. 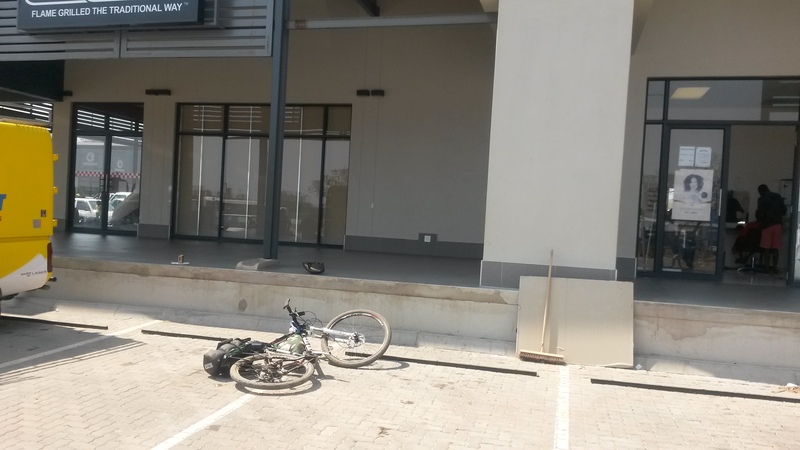 Stopping for an early lunch at Vaalwaters new shopping mall. Actually this town has had a little face lift. It was a dusty African frontier town. Now it has something more modern buildings with some paint. Laid bicycle down to get right angle to let solar panels charge phone and gps as I eat lunch. No luxury of dynamo yet. 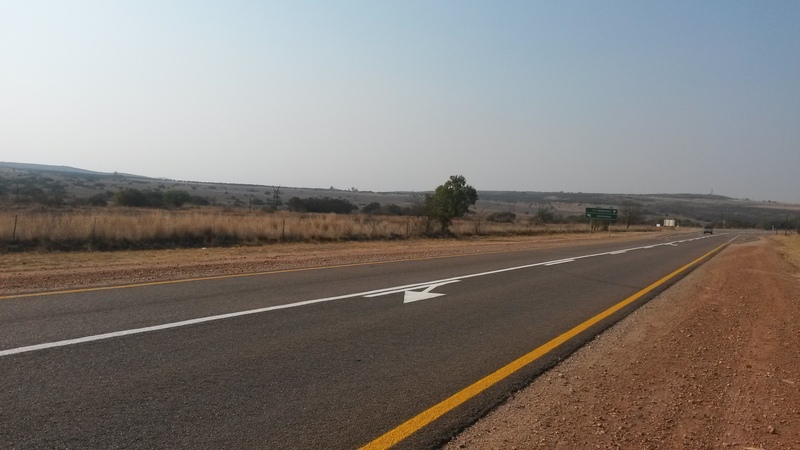 Using the R33 continued on to Lephalale (Ellisras). 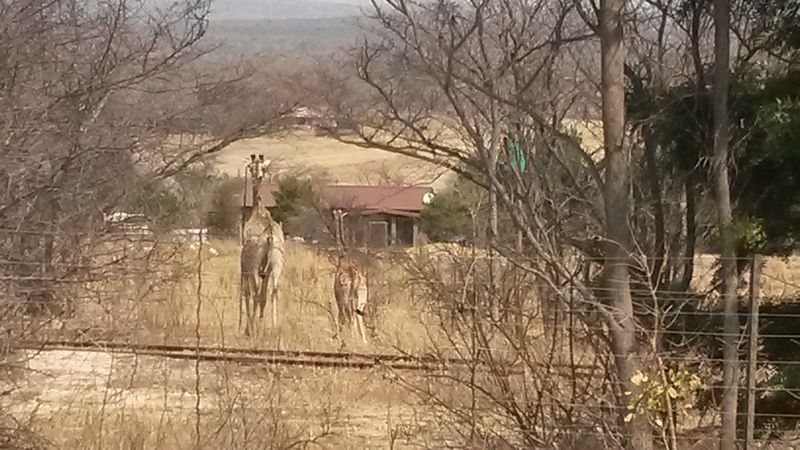 Was a good day for game viewing. Started early just before sunrise with a Sable just 15 m from me, behind a game fence. To many Kudu sightings to count. Warthog,giraffe, fisheagle,vultures, impala and not to mention the common cow and horse. At Lephalale got to stop at KFC just as sun was setting. Relaxed had a good meal and rehydrated. It had been a very hot sunny afternoon which had dried me out. Did find one roadside shop along that road and purchased a nice cold Poweraide. Other wise it was high game fences on both sides of the road. No water in river beds or open farm gates to ask for water. Many signs saying poachers will be shot. So would not recommend trespassing to look for water or stealth camping. Rode into the night looking for a nice place to stealth camp. Much to my disappointment the game fences did not give way until 60km from Marken. There was a rural area with some Sukelbos. Took some scratches and a thorn puncture one of my water bladders to find a nice resting place. Tested out some camping equipment. Will not go into detail as you will probably laugh at me. Put it this way. I did not use a tent and did use a sleeping bag with some kind of covering sheet. Landed falling asleep looking up at a full moon and waking up a few times just to fall asleep just as fast again. Easier to pack up camp with less belongings. Traffic was heavy on all the roads but as I got closer to Potgitersrus the traffic picked up. At Potgitersrus I had KFC again. Hit the old main road to Naboomspruit . This was very busy road. 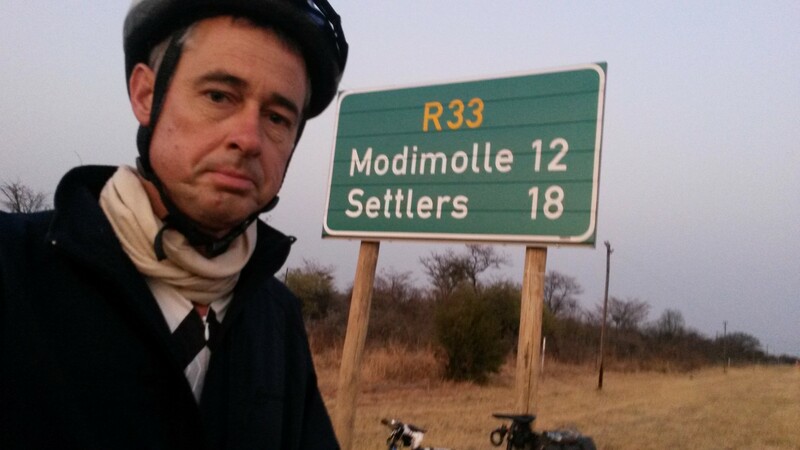 Landed peddling into Naboomspruit at just after sunset around 6pm. Had arranged to be picked up by Righardt as I knew there was not enough time to get home to have a good sleep before work the next day. Was really nice to get out to see if can do the Trans-Afrika race. To be quite honest I think I have bitten off a big chunk. Have to replan target towns to be at to make sure reach Cape town at a given time. Looks so easy on paper but get down on the saddle. It is going to be some long days in the saddle. 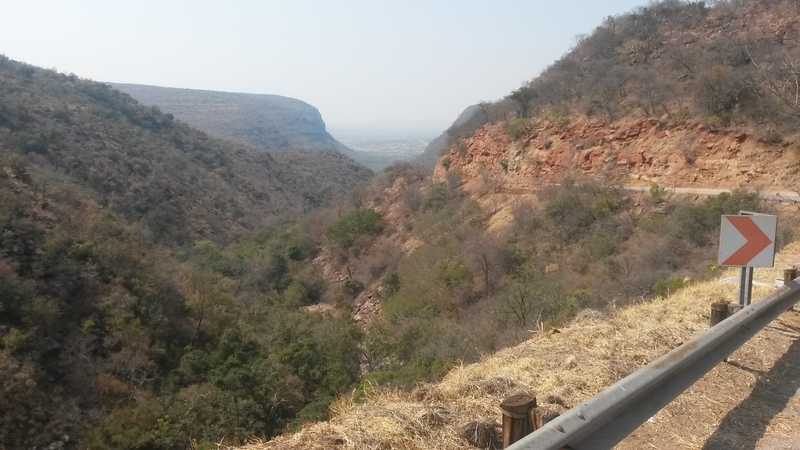 This entry was posted in Bicycle adventures, Bicycle riding, Wild animals/Nature and tagged Ellisras, Marken, Naboomspruit, Stealth camping, Trans-Afrika, Vaalwater by krfarmer. Bookmark the permalink.